Alfonso XIII of Spain assumed power in 1902. Alfonso XIII became increasingly autocratic and in 1909 was condemned for ordering the execution of the radical leader, Ferrer Guardia, in Barcelona. He also prevented liberal reforms being introduced before the First World War. 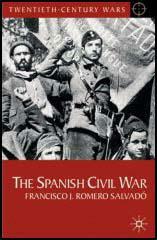 Blamed for the Spanish defeat in the Moroccan War (1921) Alfonso was in constant conflict with Spanish politicians. 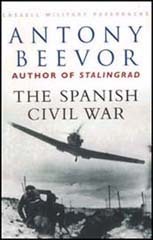 His anti-democratic views encouraged Miguel Primo de Rivera to lead a military coup in 1923. He promised to eliminate corruption and to regenerate Spain. In order to do this he suspended the constitution, established martial law and imposed a strict system of censorship. Miguel Primo de Rivera initially said he would rule for only 90 days, however, he broke this promise and remained in power. Little social reform took place but he tried to reduce unemployment by spending money on public works. To pay for this Primo de Rivera introduced higher taxes on the rich. When they complained he changed his policies and attempted to raise money by public loans. This caused rapid inflation and after losing support of the army was forced to resign in January 1930. In 1931 Alfonso XIII agreed to democratic elections. It was the first time for nearly sixty years that free elections had been allowed in Spain. When the Spanish people voted overwhelmingly for a republic, Alfonso was advised that the only way to avoid large-scale violence was to go into exile. Alfonso agreed and left the country on 14th April, 1931. The provisional government called a general election for June 1931. The Socialist Party (PSOE) and other left wing parties won an overwhelming victory. Niceto Alcala Zamora, a moderate Republican, became prime minister, but included in his cabinet several radical figures such as Manuel Azaña, Francisco Largo Caballero and Indalecio Prieto. On 16th October 1931, Azaña replaced Niceto Alcala Zamora as prime minister. With the support of the Socialist Party (PSOE) he attempted to introduce agrarian reform and regional autonomy. However, these measures were blocked in the Cortes. Azaña believed that the Catholic Church was responsible for Spain's backwardness. He defended the elimination of special privileges for the Church on the grounds that Spain had ceased to be Catholic. Azaña was criticized by the Catholic Church for not doing more to stop the burning of religious buildings in May 1931. 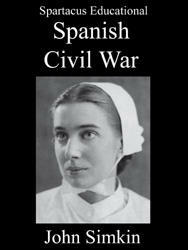 He controversially remarked that burning of "all the convents in Spain was not worth the life of a single Republican". The failed military coup led by José Sanjurjo on 10th August, 1932, rallied support for Azaña's government. It was now possible for him to get the Agrarian Reform Bill and the Catalan Statute passed by the Cortes. However, the modernization programme of the Azaña administration was undermined by a lack of financial resources. The November 1933 elections saw the right-wing CEDA party win 115 seats whereas the Socialist Party only managed 58. CEDA now formed a parliamentary alliance with the Radical Party. Over the next two years the new administration demolished the reforms that had been introduced by Manuel Azaña and his government. This led to a general strike on 4th October 1934 and an armed rising in Asturias. Azaña was accused of encouraging these disturbances and on 7th October he was arrested and interned on a ship in Barcelona Harbour. However, no evidence could be found against him and he was released on 18th December. Azaña was also accused of supplying arms to the Asturias insurrectionaries. In March 1935, the matter was debated in the Cortes, where Azaña defended himself in a three-hour speech. On 6th April, 1935, the Tribunal of Constitutional Guarantees acquitted Azaña. On the 10th May 1936 the conservative Niceto Alcala Zamora was ousted as president and replaced by the left-wing Manuel Azaña. Soon afterwards Spanish Army officers, including Emilio Mola, Francisco Franco, Juan Yague, Gonzalo Queipo de Llano and José Sanjurjo, began plotting to overthrow the Popular Front government. This resulted in the outbreak of the Spanish Civil War on 17th July, 1936. We have reason on our side and, therefore, force, though so far we have used force with moderation. If an attempt is made to trick us into a compromise which our conscience considers dishonourable, we shall demand greater penalties, and impose them with greater severity. Neither I, nor the garrisons of Aragon, from whom I have just received a telegram in support, will agree to anything but a military dictatorship. If the politicians make an attempt to defend themselves, we shall do the same, relying on the help of the people, whose reserves of energy are great. Today we are resolved on moderation, but, on the other hand, we shall not shrink from bloodshed. Sunday's elections have shown me that I no longer enjoy the love of my people. I could very easily find means to support my royal powers against all comers, but I am determined to have nothing to do with setting one of my countrymen against another in a fratricidal civil war. Thus, until the nation speaks, I shall deliberately suspend the use of my royal prerogative. Life for the Spanish peasants was poor materially by English standards. They had an obvious love of the land, though their methods had not changed for a thousand years. There were the same low stone buildings with the single wooden bench used for both bed and table. Chickens, pigs, goats and every other animal, had free access to the living quarters. Ploughing consisted of the scratching of the ground with a wooden implement which was nothing more than a sharp-edged pole pulled by mules or donkeys. The corn was cut by hand and gathered by the women and children. Everybody in the village would take part.